We’re pleased to announce that Public Folders will be available in Hosted Exchange 2013 on December 17, 2014. 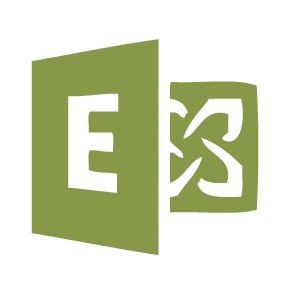 In March 2014, Microsoft announced new limits on Exchange 2013 public folders. The limits were due to a new folder storage architecture in the 2013 release. At that point Thexyz removed public folders from our Hosted Exchange 2013 product in order to maintain server stability until Microsoft could provide an update. In August 2014, Microsoft released the software update to improve public folder limits, and Thexyz began applying the new guidance to our Hosted Exchange 2013 product. Microsoft’s update still has limits on public folders. In order for Thexyz to offer public folders without exceeding those numbers, we will apply folder usage limits to all customer accounts. You will be able to add Public Folders to your Exchange 2013 domain. We are improving your Public Folder experience by moving the management tools into Control Panel; from here you can create, delete, and edit folders. • Create up to 25 Public Folders total (including subfolders) per email domain. • Store up to 250 MB of content in each folder. • Create, rename, delete, and mail-enable folders directly in the Control Panel. • See real-time provisioning status of your folders in Control Panel. • Users who manage folders through Outlook will need a Limited Admin account in the Control Panel. Public Folder administration will no longer be available in Outlook. • End-user permission management for changing read/edit/delete access rights is not available in the first release. • For Exchange 2013 customers whose folders are above the new limits, Thexyz will NOT automatically decrease their number or storage size. For these users, an example folder structure may display “33 of 25 folders.” Customers with more than 25 folders may not add new folders until they are below the limit. Folders that are over the 250MB storage quota will not accept new items until content is removed to get below the quota. The 25 folder and 250 MB per-folder limits ensure each Exchange environment does not exceed the inherent Public Folder limits that Microsoft placed on Exchange Server 2013. Without these limits, Thexyz would jeopardize the stability of our customer’s email and uptime. We are not willing to compromise stability and reliability, which is likely one of the reasons you chose us to host your email. As Microsoft raises the limits (as they have stated they plan to do), we plan to raise ours as well. The new Public Folder administration tools will be live in Control Panel on December 17, 2014.